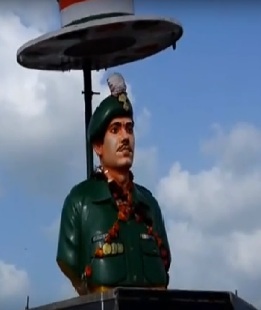 Lance Naik Rajendra Yadav was born on 16 Nov 1969 to Shri Ramlal and Shrimati Kadavibai Yadav. Lance Naik Yadav had a very humble beginning being born in a farmer’s family with limited means. His father Ramlal Yadav was an ordinary farmer in Ghugariakhedi village, in Khargone of Madhya Pradesh. 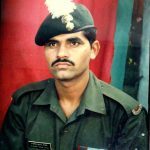 Lance Naik always wanted to serve in the army and pursued his dream of joining the army after finishing his studies in 1985. He got married in 1986 to Pratibha Devi. Lance Naik belonged to the Grenadiers regiment and was serving with 18 Grenadiers during the Kargil war. On 30 May 1999, as a part of battalion operations to capture the Tololing feature, Lance Naik Rajendra Yadav’s unit, 18 Grenadiers was tasked to secure the initial foothold by capturing its forward advance where the enemy held a strongly fortified advance position. The post was located in a treacherous, mountainous terrain at about 15,000 feet and covered with snow. That night a 10-man Grenadiers team including Lance Naik Yadav began climbing towards their fortified objective with picks and axes. Sniper fire killed a JCO and when the temperature dropped to six below freezing, the mission was called off. Maj Adhikari was leading the central arm of three 10-man teams trying to capture a bunker. Maj Adhikari led the central charge, three meters ahead of his men. The bunker fell, but Maj Adhikari was shot, 20 m short of his objective. He was fired at from two mutually supporting bunkers with universal machine guns. The officer immediately directed the rocket launcher detachment to engage the bunker and without waiting, rushed into the bunker and killed two intruders in close quarter combat. Thereafter, the officer, displaying the presence of mind under heavy fire, ordered his medium machine gun (MMG) detachment to fix position behind a rocky feature and engage the enemy. The assault party continued to inch their way up. 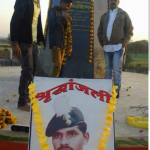 During this battle, Lance Naik Rajendra Singh Yadav got hit by bullets and was martyred. However, Lance Naik Yadav displaying raw courage killed five enemy soldiers before succumbing to his injuries. This battle later facilitated the capture of Point 4590. The Battle of Tololing was one of the most significant battles, were Lance Naik Yadav fought valiantly and achieved the objective at the cost of his life. For conspicuous gallantry and supreme sacrifice, Lance Naik Rajendra Singh Yadav was posthumously awarded the Sena Medal. 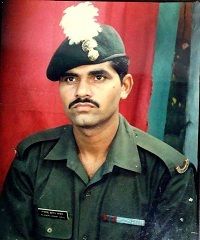 Lance Naik Rajendra Yadav is survived by father Ramlal Yadav, mother Kadvibai Yadav, and wife Pratibha Devi. Lance Naik Rajendra Singh Yadav was awarded with Sena Medal posthumously for his bravery and supreme sacrifice during Kargil war. Lance Naik Rajendra Singh Yadav was also given VSM(Vishisht Seva Medal) for his meritorious service to the nation. 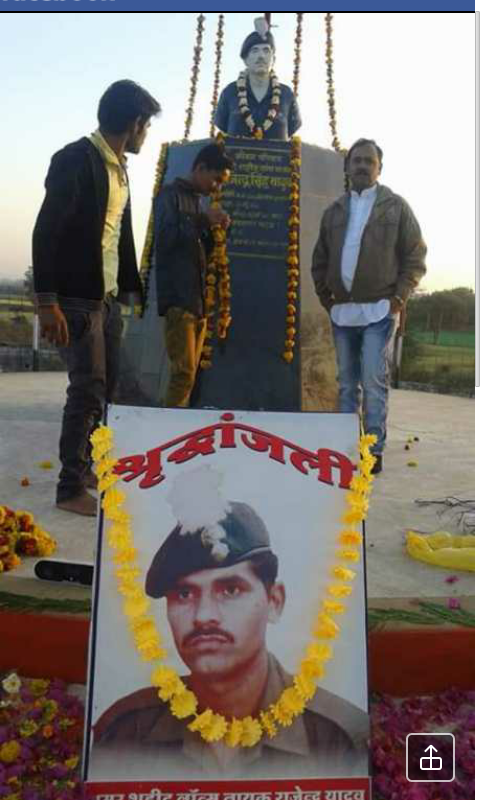 The village panchayat has erected a memorial, in his village to honour Lance Naik Rajendra Singh Yadav. 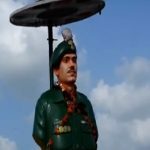 In recognition of Lance Naik Yadav’s efforts to earn a degree, he had just given his BA Part II exams, Indore University decided to honour him with one. Your story of courage and sacrifice is truly remarkable. It will continue to inspire the future generations of India. Big solute to the brave son of bharat Mata and son of nimad madya pradedh..Your story of courage and sacrifice is truly remarkable. It will continue to inspire the future generations of India. These are the real heros. Young generation must inspire by them. Join Indian Army.